First Holy Communion in white, decorated by flowers and beads at the opening with rays of sequins down the bag. 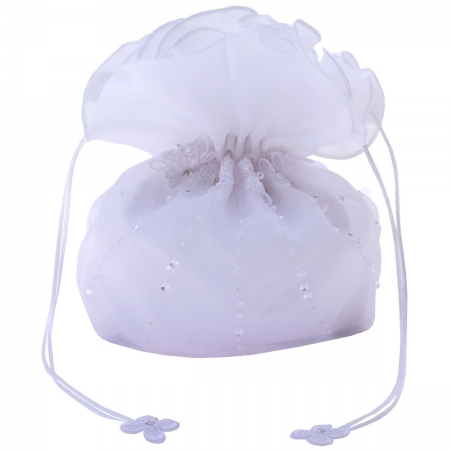 White satin material cover with organza. Size is approximately 6"/15cm wide by 7"/18cm height excluding the handles.